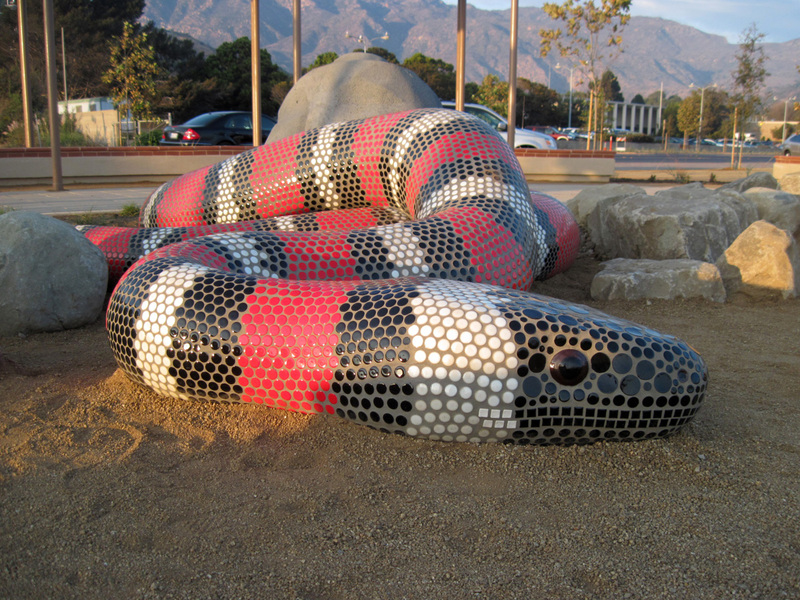 This public park in Malibu, California, opened in October 2010. 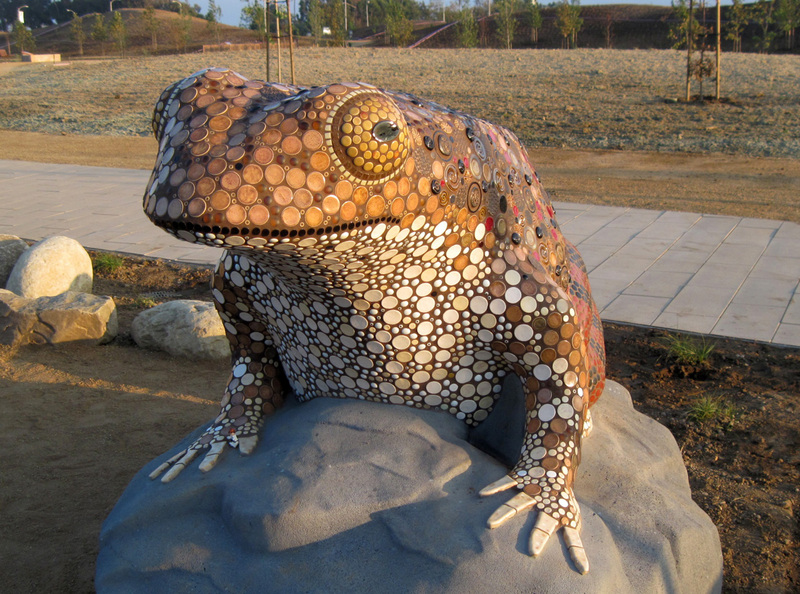 It features 17 acres of rolling hills covered in native grasses and a state-of-the-art water reclamation system to clean and recycle water. 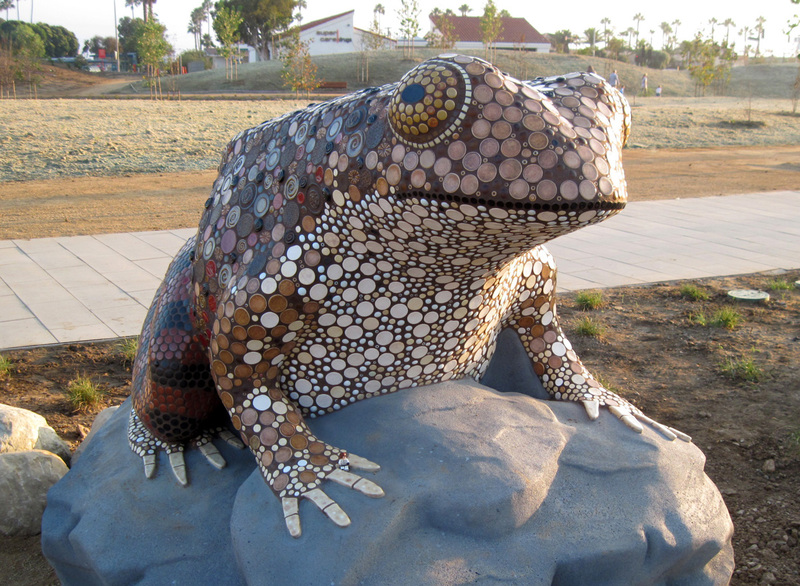 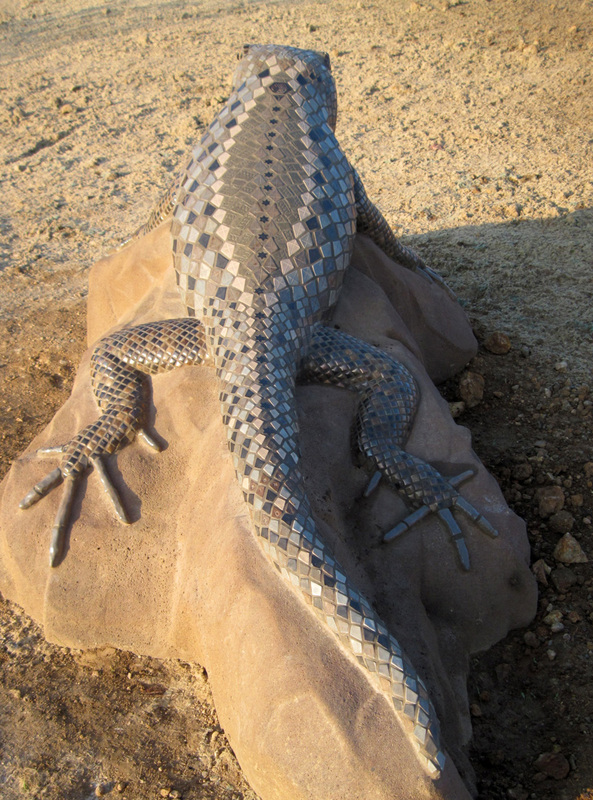 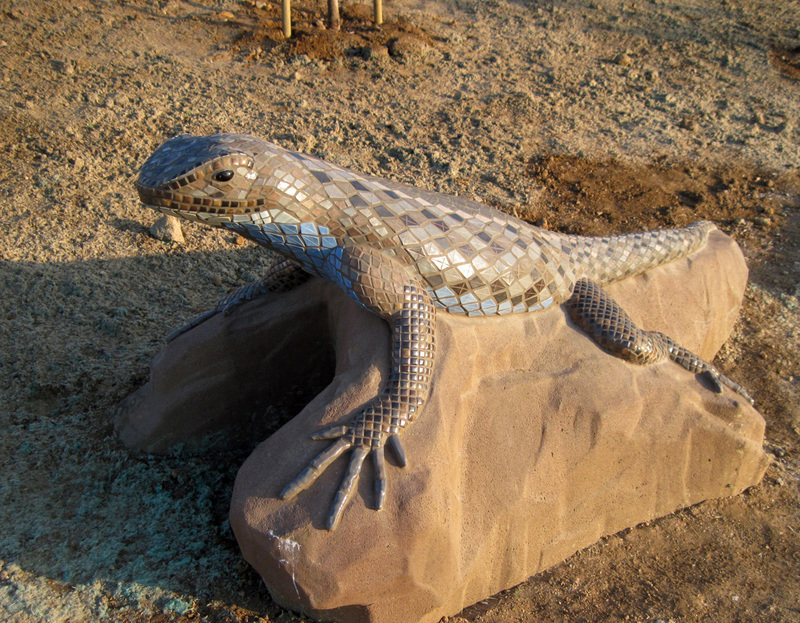 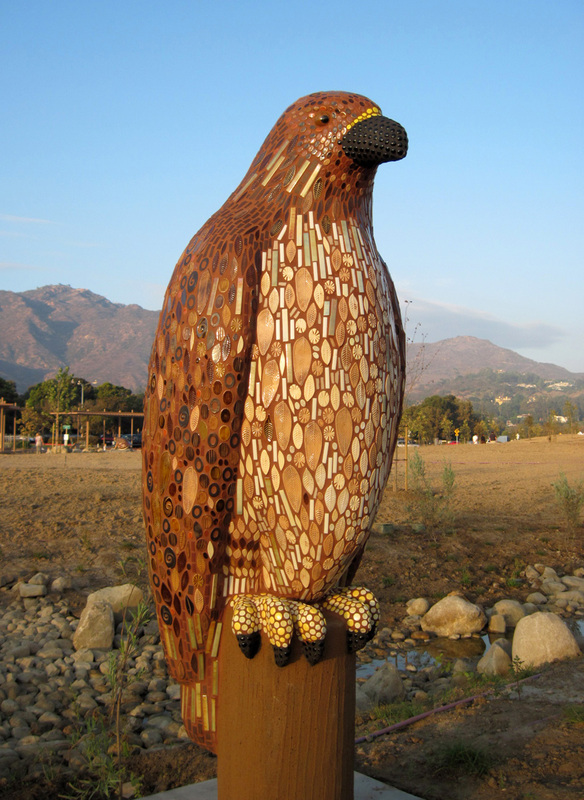 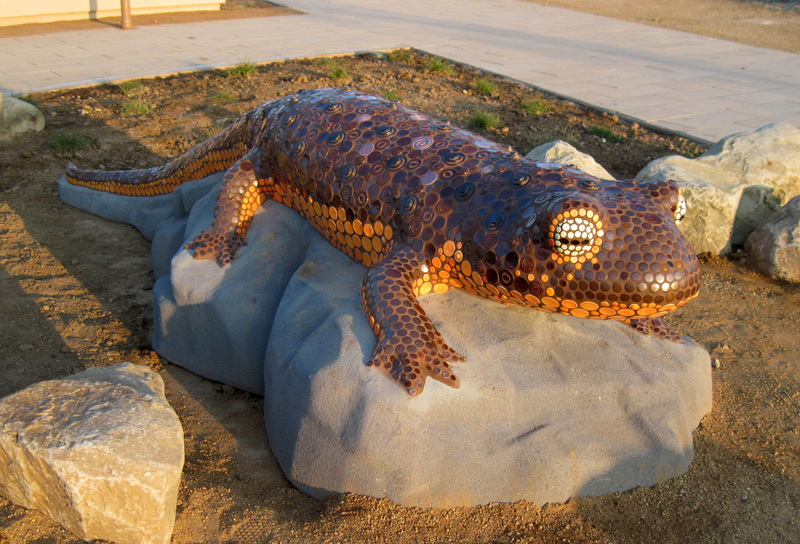 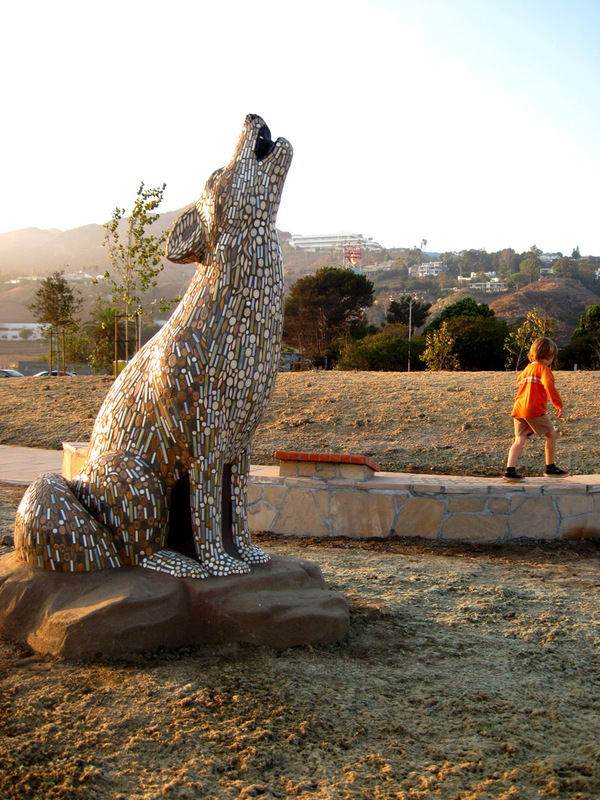 Along the pedestrian and bike paths are large mosaic sculptures of wild animals native to California. 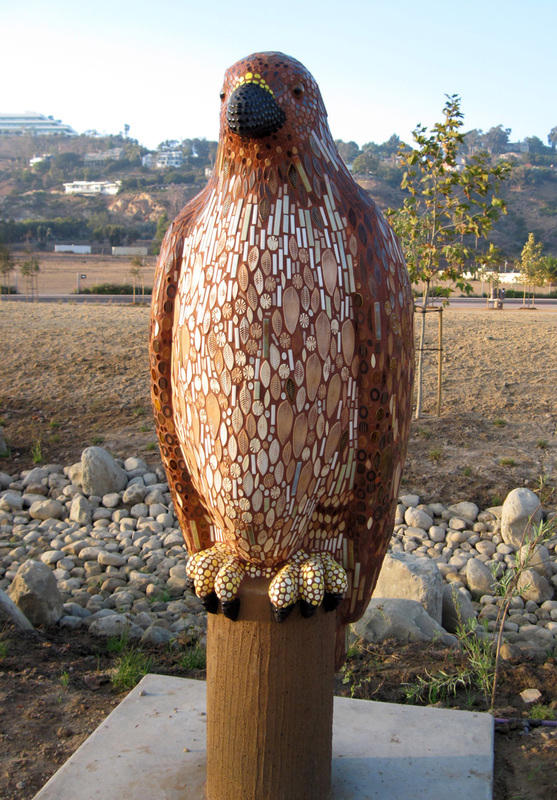 There are eight of these textural sculptures in all. 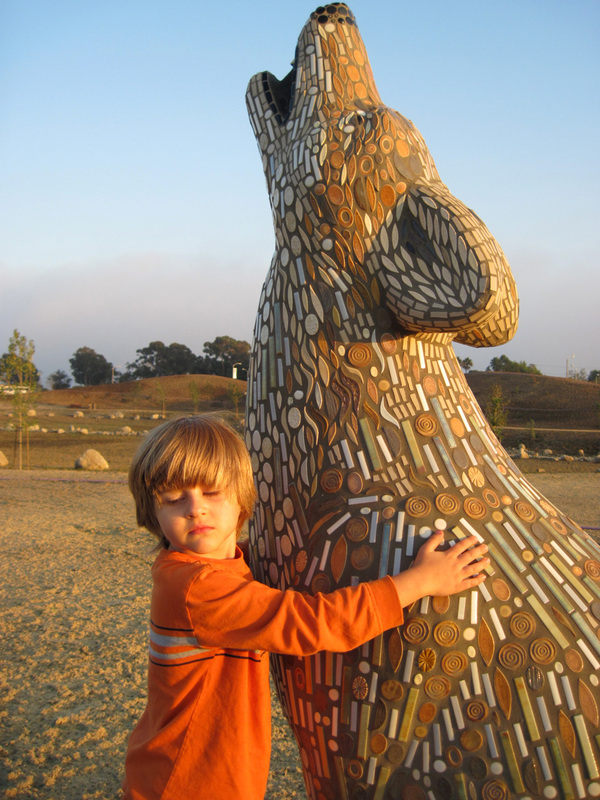 At the north entrance to the park, three of the animals are clustered together in the Children’s Interpretive Area. 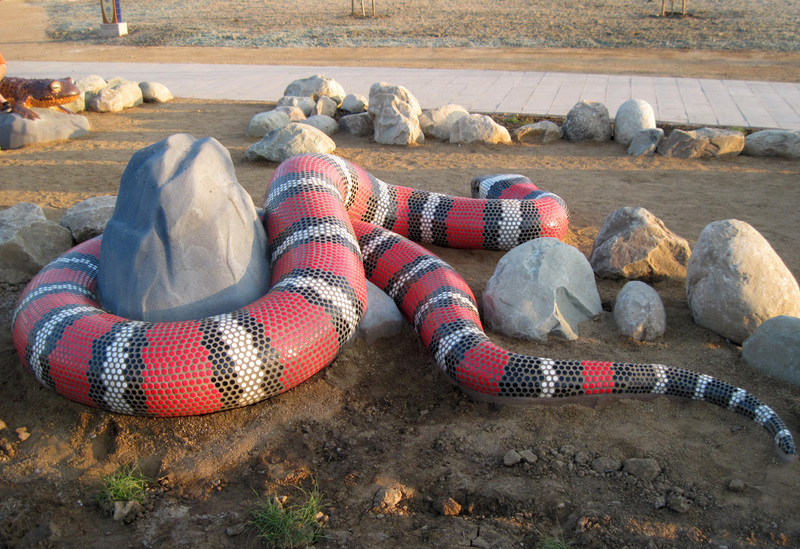 Here you’ll find the bright red, black and white striped Mountain Kingsnake, the orange-bellied California Newt and the Red-Legged Frog. 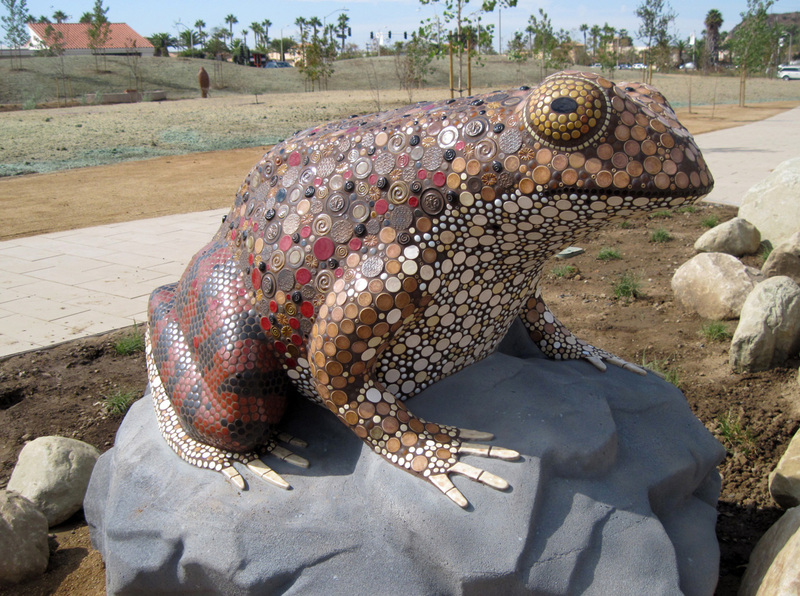 Keep walking, and you’ll stumble upon the Coyote, Western Toad and Red-Tailed Hawk. 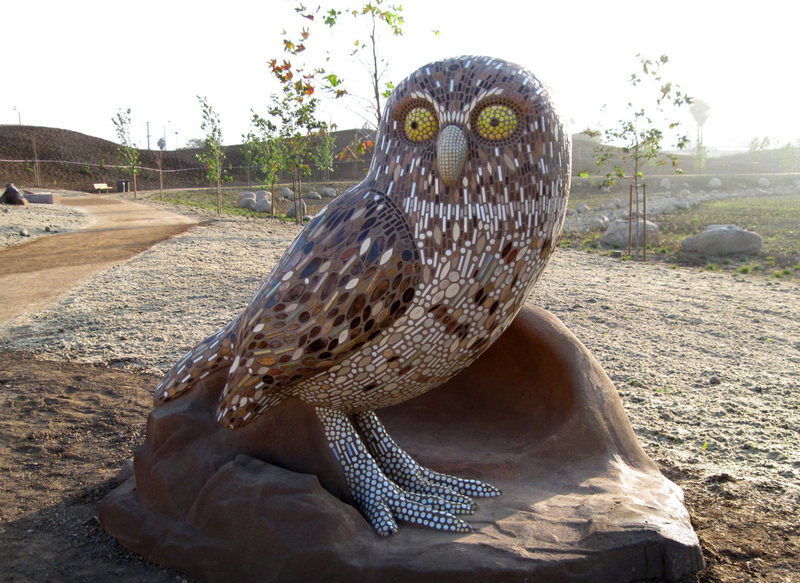 Near the south entrance you’ll find the Burrow Owl with his large yellow eyes and the Western Fence Lizard, also known as the Bluebelly. 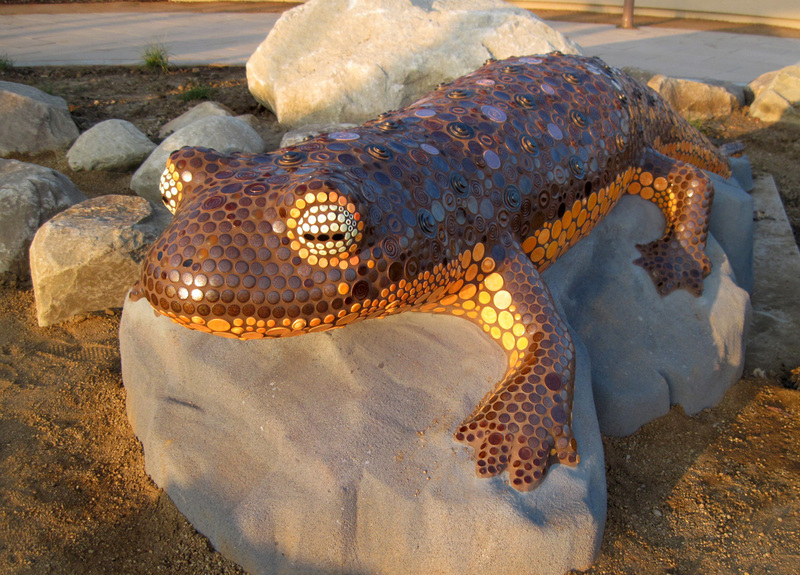 At home, I made the thousands of handmade tiles that I designed specifically for these animals and I carved many new tile stamps out of clay to make unique textures. 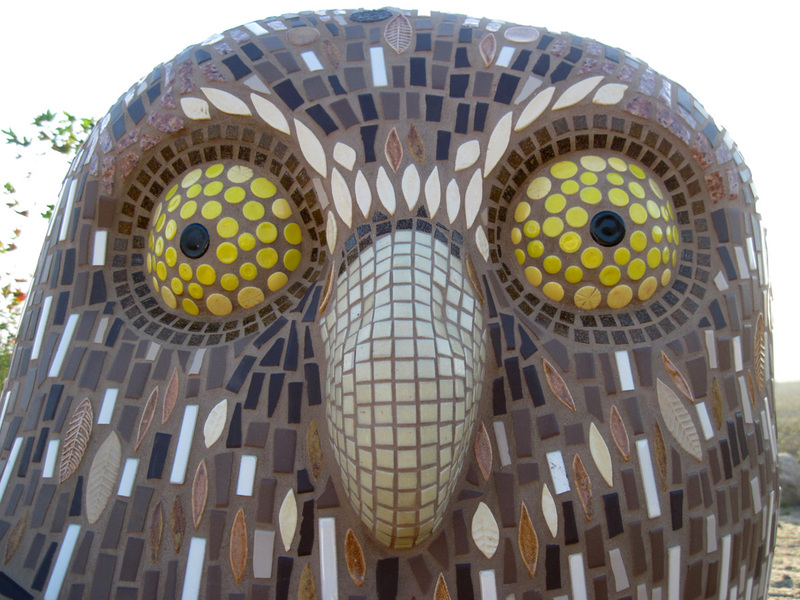 The swirls, feathers, paisleys and snowflake oval tiles feature my hand-carved stamps�which I also sell on my tile site, rebeltiles.com as part of my Abstract Skin Line.�The kiln was running every other day, full to the brim! 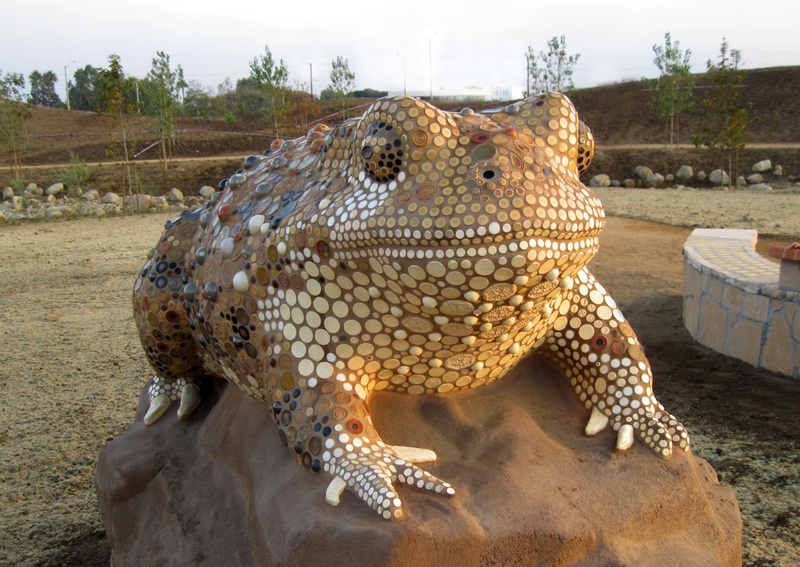 I worked with friend and fellow tile lover, Sarah Campbell, from mid-May to mid-September tiling these big beautiful beasts at the cement plant�in Redding, where they were fabricated. 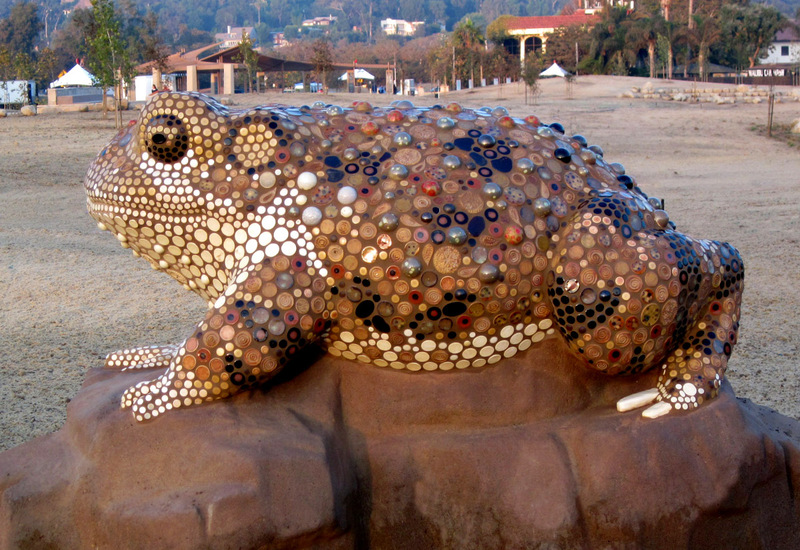 This�helped solidify my love for creating great big mosaics.